In the autumn of 1988 the Soviet political scene entered the stage of dramatic transformation. The formerly united camp of perestroika supporters began to split, as groups emerged that demanded more radical and far-reaching reform measures. 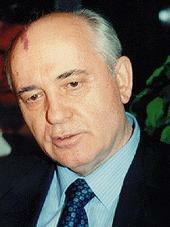 Nascent radicalism contained two strands, both of which spelled danger for Gorbachev’s policies. One strand was represented by national radicalism and was directed by popular fronts set up in most of the Soviet republics. They demanded greater autonomy for their republics and a reform of the Soviet federative structure. The other strand was political and insisted on radicalizing and deepening perestroika’s political, economic, and other reform measures. The two strands developed side by side and even overlapped in some of their demands, including the support of private ownership, political pluralism, and a multiparty system, all of which went beyond Gorbachev’s original plans of democratization. In line with the decisions of the Nineteenth Party Conference on the new electoral system, elections were held in March 1989 to the USSR Congress of People’s Deputies. The new electoral law was not fully democratic and represented a compromise designed to enable the party to retain its overall influence: two-thirds of deputies were to be elected by direct popular vote, while the remaining one-third was to be elected by public organizations, including the Communist Party. These undemocratic restrictions notwithstanding, for the first time since 1917 the elections were held with genuine competition among candidates. Electoral campaigning roused keen interest among many sectors of the population in the outcome of the elections, resulting in a massive turnout at balloting stations of 90 percent of eligible voters.